Okay – I said I wasn’t going to, but I caved and got the rest of my girls up to level 10 so I could see their new models. There’s only three, so this is gonna be a relatively short post. 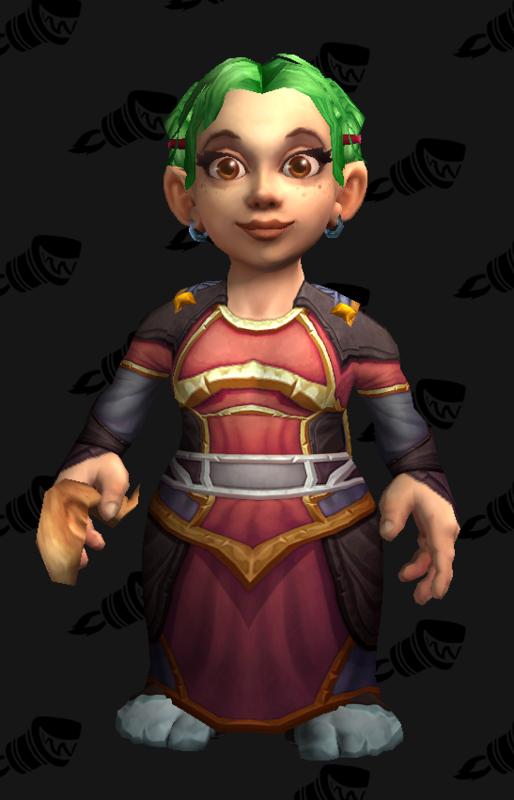 I love the new Gnome female model – I know that many don’t because of the wide eyes, but I think she’s adorable. The detail on the hands is wonderful, and I love that her robes actually fit her smaller frame now. The little smattering of freckles is perfect, and even though the expression isn’t identical to her old model, I still like it and think it suits her. I don’t know what is going on with her feet – I know several new models (female Night Elf, female Orc, MALE HUMAN) have the same problem, but … really? 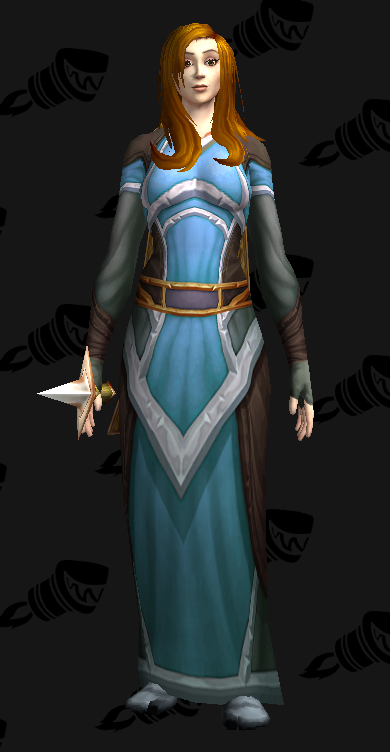 Blizz, is it really that hard to not make her shoes go between her toes? The other slight problem is the hair – while from the front and side it looks great, the back is still kind of low poly – I know that Gnomes were some of the first finished models, but couldn’t that have gotten cleaned up by now? Okay, setting aside that she doesn’t even look like the same character in the new model, I will state for the upteenth time that I love the new Night Elf female model. But seriously, her hair: it’s not even close to the same colour (her old hair was teal), the hairstyle doesn’t look the same at all – it just looks kind of limp and dead. Her expression is far to somber, what is going on with WoWhead and giving Night Elves blue eyes, and once again, we’re playing the Mystery of the Missing Markings. Honestly, I thought Sylphera was going to be the closest of these three to her original model, and she is the one that I’m the most disappointed with. I absolutely love the new Human female model (as opposed to the male, which is just… *shudders*). 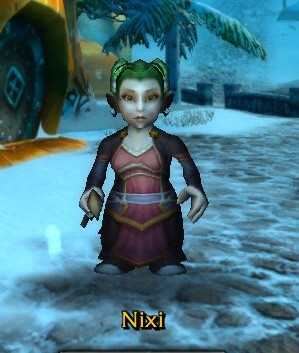 Her body looks much better – even though you can’t really see it with the robe – and like Nixi, her robes actually fit her frame now. Now, when I say “mini-me”, I mean she is meant to be me in the game – and this is absolutely perfect. The pale skin and slightly lighter hair are absolute perfection. I love the messiness of her hair, and that it’s a little less poofy than it was before. Her expression is gorgeous, just gorgeous. I am so happy with how she turned out. Well, that’s all for now, folks. I am eagerly looking forward to 6.0 – and we all know that the first day will be spent taking hundreds of screenshots of my girls with their lovely new bodies, new faces, new hair, and new personalities.